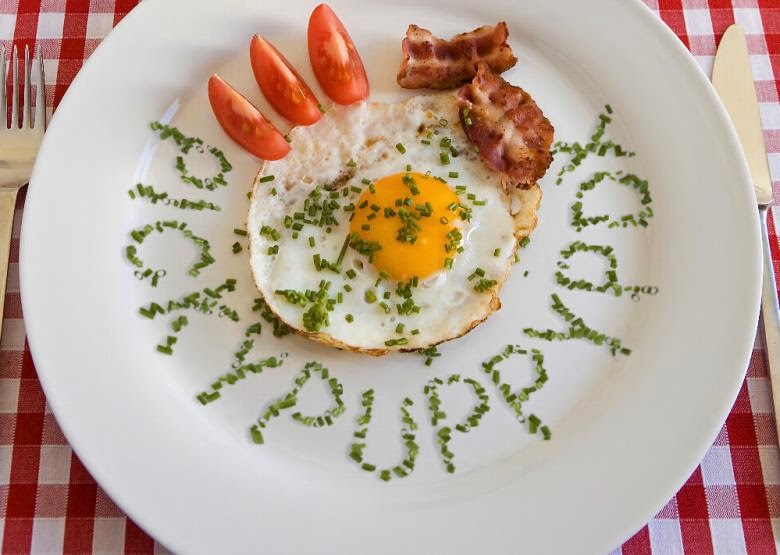 pickypuppy PDX: Transylvanian Food Cart? Challenge Accepted! It all started back in July when I came across a sign for a new food cart by my office. I immediately snapped a picture and sent it to my friend, and fellow food cart aficionado, Karen. Her response? Pretty great. It's why we're friends. yeah, I send random food cart texts to friends.. Blood? Yeah, it crossed my mind too. I'm not sure why, considering I've watched enough documentaries on European countries to know that the British are the reigning kings of blood cuisine, I've not heard of any popular Romanian blood based delicacies. There are about 40 carts across the street from my office, most are repeats (walking down the row it's like Greek, Iraqi, Iraqi, Thai, BBQ, Thai, Korean, Thai, Hawaiian, BBQ, Korean, Thai, Chinese, Indian, Indian, Thai, Chinese, Greek, Korean, Thai, Sandwich, Sandwich, BBQ) - so it was exciting to see something new. When opening day came, I stopped by for a "Taste of Transylvania"
I ordered a covridog (basically a pig in a blanket with a watery sausage wrapped in cheese). I wasn't a fan of the quality of the meat, and didn't give Delicios a second thought until today. Walking through the sea of food carts I was underwhelmed (two new carts have opened this week, a steak cart and another Iraqi cart, neither appealed to me). I ventured across the street to Delicios and decided to give it another try. The owners are EXTREMELY nice and willing to take their time to explain everything on the menu to people who are unfamiliar with the cuisine. Customer service in most carts is severely lacking, so when I get good service I really appreciate it. Lumi took her time to talk me through the entire menu, she thoroughly described the chicken schnitzel (basically a fried chicken patty), mici (sausages served with french fries), langosi (fried bread, covered in sour cream and cheese), chimney cakes and covridogs. Nothing sounded great until I laid eyes on a photo of an item simply labeled "breakfast sandwich." I was sold, ring me up. Everything at Delicios is made to order (with the exception of the Chimney Cakes), so it does take time. My sandwich took about 6 minutes to prepare, which at a restaurant is super fast, but at a food cart it feels like an eternity. I remembered the wait from last time and was prepared, and honestly, if a proprietor is willing to spend 5 minutes going over the menu with me, I'm more than willing to wait for them to cook the food I've ordered. I was impressed with the packaging, it's nice when a food cart goes beyond just stuffing your order into a brown paper bag. look at that cute checkered paper! 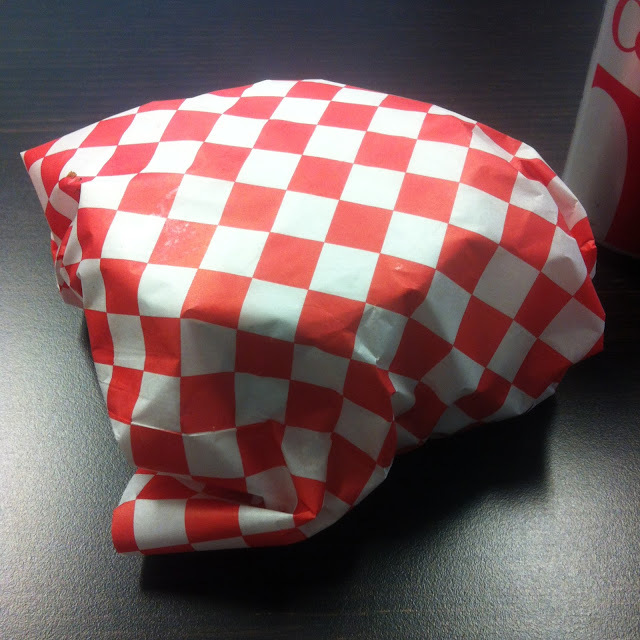 Here's how I knew my breakfast sandwich was going to be delicious - I unwrapped it back at the office, and before I had a chance to bite into it I had three people ask me where it was from. 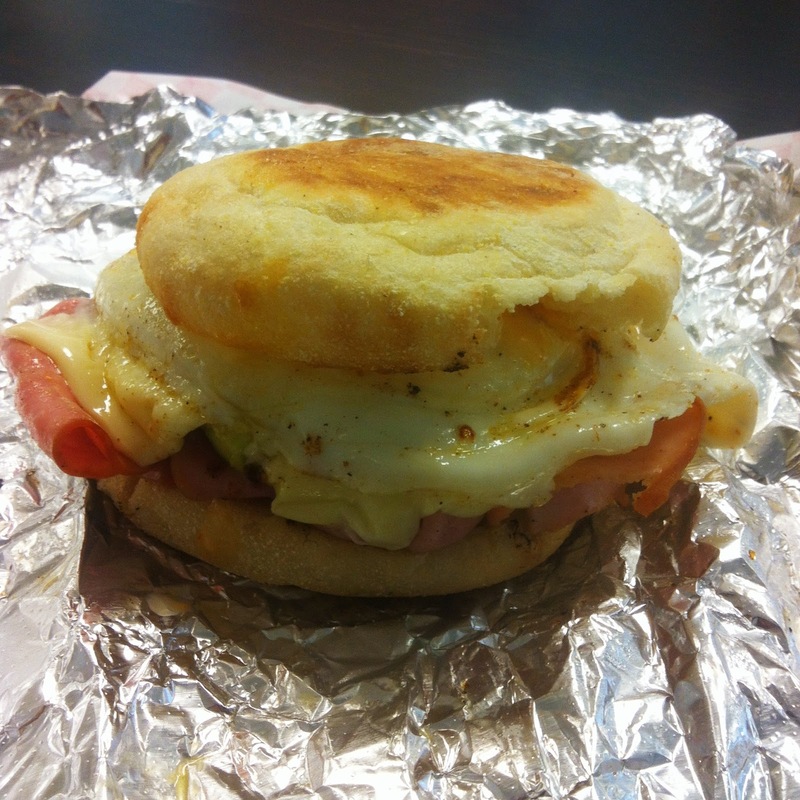 The breakfast sandwich (which I ate at 2:00pm, so that's a bit of a misnomer) was excellent. It featured thin sliced, salty ham, a fried egg, avocado slices, cheese and a tangy sauce, all on a fresh, bakery made English (Romanian?) muffin. The combination of flavors was perfect. I usually drench my eggs in salt, but the ham was salty enough to really flavor the sandwich, and the very light amount of tangy sauce gave just enough bite to add to the sandwich, instead of be obnoxious like sauce usually is. I'll definitely be back many times for the breakfast sandwich at lunch. 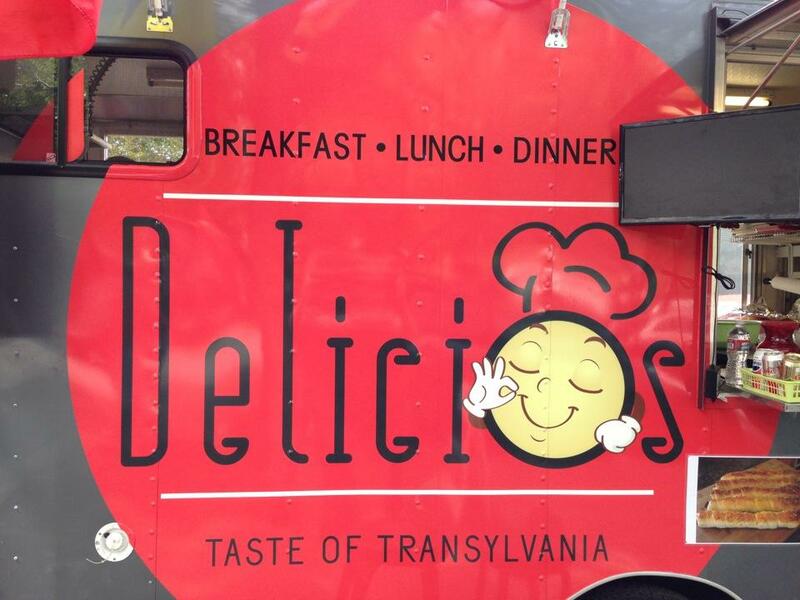 If you'd like to check out Delicios Taste of Transylvania for yourself, they're located at the corner of SW 10th Ave & SW Alder St in Portland and are open from 8:00am - 7:00pm Monday through Saturday. 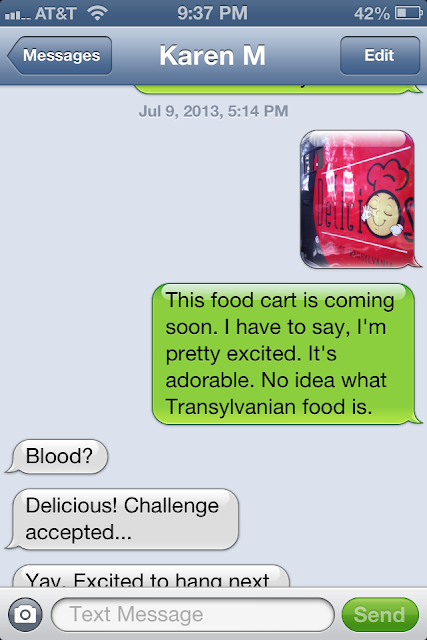 My father's family was from Transylvania. He was the only child born in the United States. As a child, I remember him cooking Transylvanian food for us. He passed away in 1971, and I did not think I would every be able to taste Transylvanian food again. Can't wait to try out this food cart!